As you enter your retirement years, Medicare will become your primary source of health insurance coverage. However, Medicare alone will not cover all of your medical expenses. Deductibles, co-insurance, and other medical expenses not covered by Medicare can be significant. 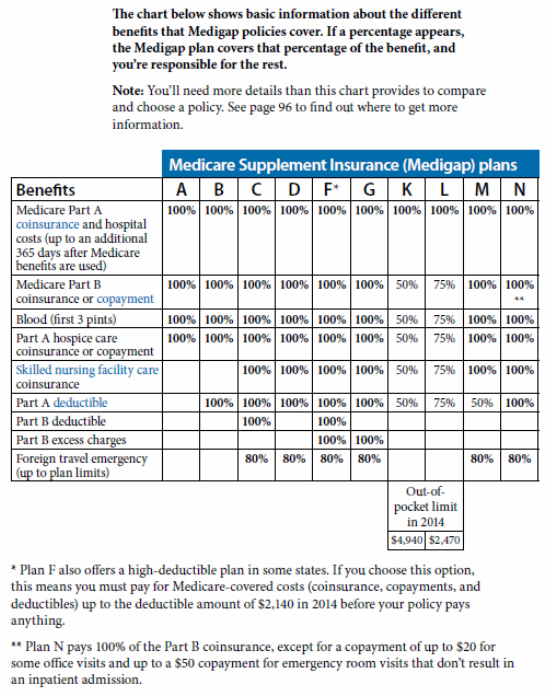 That is specifically what Medicare Supplement plans are designed for to help cover the “gaps” in coverage with Medicare Parts A and B. The plans are guaranteed renewable, and cannot be cancelled as long as the premiums are paid on time. Coverage also begins immediately. There is no waiting period for pre-existing conditions, and benefits will be paid from the time your policy is in force. All Medicare Supplement insurance plans are standardized by law. Plan features do not vary based on which company you choose to deal with. However, the premiums you pay are set by each individual insurance company and may vary. If you're enrolled in a Medicare Advantage Plan, Medicare services are covered through the plan and aren't paid for under Original Medicare. Most Medicare Advantage Plans offer prescription drug coverage. Everybody gets a﻿ Medicare & You ﻿book every year, unfortunately it is too over-whelming and confusing so nobody reads it! I will explain Medicare in easy to understand language where you will know what Medicare is and why you have it by the time I am finished! If you didn't get one of these books you can download it from here. 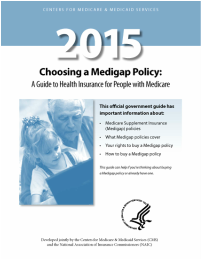 Medigap is also called Medicare Supplement. 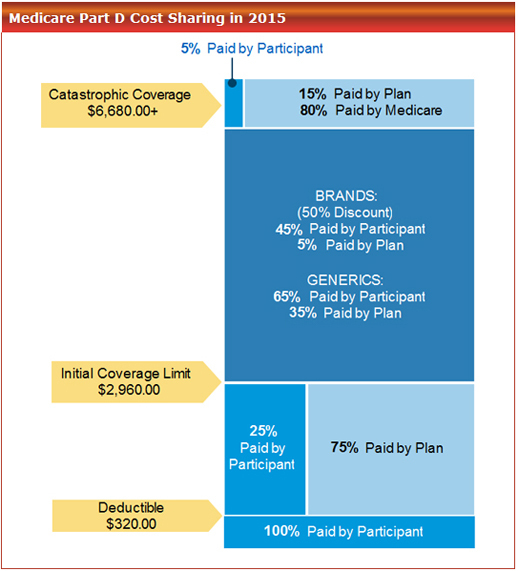 Medigap plans pay the portion of your medical bills that is not paid for by traditional Medicare. Medigap plans are standardized by the Centers for Medicare and Medicaid Services, CMS, Medigap policy's must offer the same basic benefits, no matter which insurance company sells it. Cost is usually the only difference between Medigap policies with the same letter sold by different insurance companies. The deductible is the amount you pay during the year before your prescription drug plan kicks in and starts to pay for covered drugs. The maximum deductible for Medicare drug plans is $320 in 2015. Plans vary and you may or may not have a deductible. Once you have paid your deductible for the year, you will pay either a copayment (a set dollar amount) or coinsurance (a percentage of the drug cost) each time you fill your prescription. You exit the coverage gap and enter “catastrophic coverage” once you and your plan have spent $4,700 during the year. Your deductible, coinsurance, copayments and drug costs count toward calculating catastrophic coverage. The entire drug cost counts toward catastrophic coverage, not just the discounted amount you pay. Your plan premium and drugs that are not covered are not included in the calculation. While you are in catastrophic coverage you only pay a small copayment or coinsurance for drugs that are covered by your plan for the remainder of the year. You pay the either coinsurance (5% of the drug cost) or a copayment ($2.65 for generic-drugs or $6.60 for brand-name or preferred drugs) whichever is greater. By 2020, you'll pay only 25% for covered brand-name and generic drugs during the gap—the same percentage you pay from the time you meet the deductible (if your plan has one) until you reach the out-of-pocket spending limit (up to $4,700 in 2015; $4,850 in 2016).